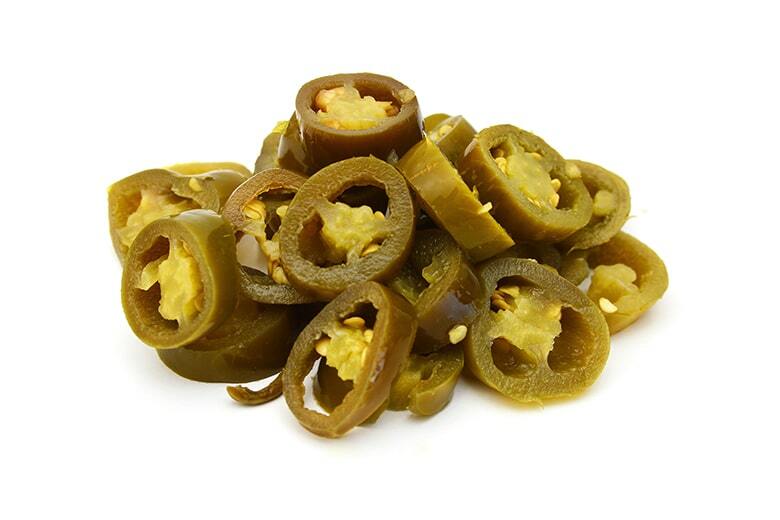 Fresh packed nacho cut sliced jalapeno peppers. Shelf stable product, protect from freezing. Refrigerate after opening and use within 10 days of opening. Fresh peppers, vinegar, water, salt, phosphoric acid, calcium chloride, sodium benzoate and sodium metabisulfite (preservatives), natural flavours.